As one of the first few towns, or last few towns depending on which direction you’re heading, as you enter or exit North Texas on Highway 75, Sherman, TX is the county seat of Grayson County. Sherman is known for Austin College, which is a private, Presbyterian liberal arts college that was founded in 1849 and relocated to the area in 1876. Today, Sherman is a small, yet growing city with a population around 40,000 with a majority of residents being young families. As a city with mostly families, Mr. Cool Snow Parties proudly serves and meets all your Sherman snow party needs. As a North Texas provider of snow parties with well over 50 years of snow production experience, we can provide year-round service for our Denton snow party clients; many clients request service for school events, local events, company parties, church events, and much more. Whether it’s May, July, August, October, or December and no matter if the temperature is in the 20’s, 30’s, or 80’s, Mr. Cool Snow Parties can provide snow delivery to your event or party location throughout Sherman. We can provide more than just fresh and powdery white snow; our snow delivery team can also build a snow slide for your party guests to enjoy even more snowy fun and excitement, no matter what age group. 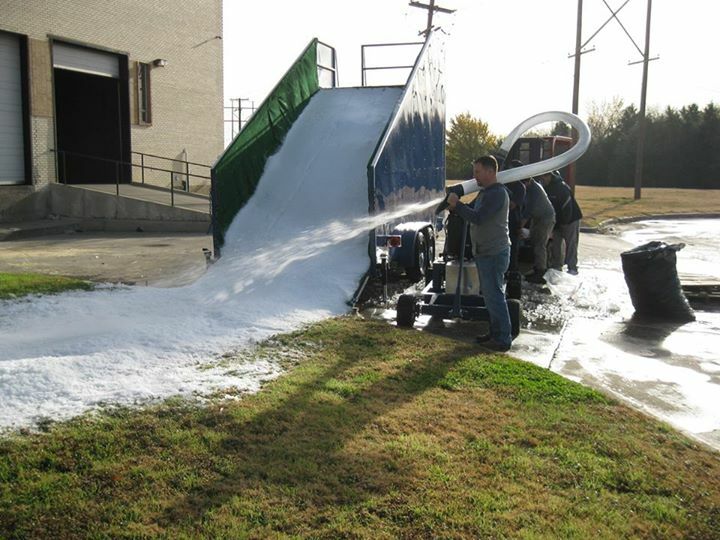 Even if your location doesn’t provide the proper landscape to a build a slide, you can rent our mobile snow slide, the Mr. Cool Luge. Whether you are planning a church event for the whole congregation and the community, a kid’s birthday party with close family and friends, or a big company or community event with hundreds and hundreds of guests, a Sherman snow party by your experts at Mr. Cool Snow Parties will make it the event of the year by bringing laughter and fun to every kid and adult as they play together in the snow. Just like real snow, which we don’t see much of in North Texas, our snow is fresh and powdery, high-quality white snow. You and all your party guests will be able to build snowmen, make snow angels, and have enough snow for a friendly snowball fight. 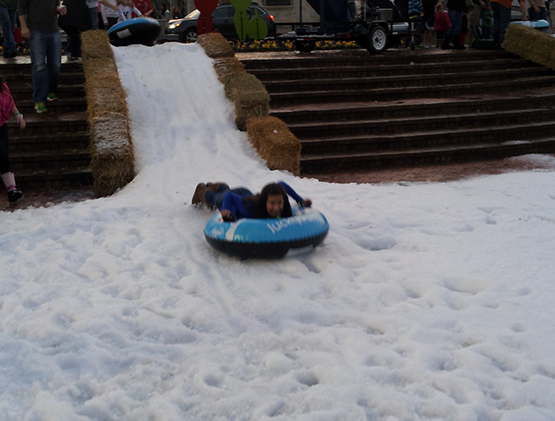 Throw a snow party in Sherman, TX to make your next party the event they’ll never forget. Mr. Cool Snow Parties , a subsidiary of Emergency Ice, Inc., has many years of ice and snow party production and delivery experience. We are proud members of the International Packaged Ice Association (IPIA) and hold a strong A+ rating with the Better Business Bureau, so you can always rely on our delivery team to provide you top-quality service for snow parties in Sherman, TX. Contact us at 214.631.3535 or 1.800.400.8221 today to set up a snow party for your next event; we can bring the winter wonderland experience to your party no matter what time of the year!